Here at the Ballast Trust we have a processed a collection which belongs to Glasgow City Archives. 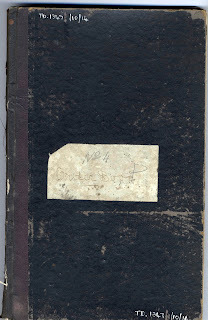 It is the papers of R McAlister & Sons, Yachtbuilders based in Dumbarton. It is a lovely collection, a great example of the work of a smaller firm of boat and yachtbuilders founded in 1857 to build small boats, including racing boats, gigs, canoes and other oared craft which were the main output of the firm. By 1886, expansion of the business meant that McAlister now built sailing yachts, lifeboats, steam yachts and launches. In May 1911 McAlister entered into an arrangement with Mr Valdemar Engelhardt (a Danish captain) to build his collapsible lifeboats and make the McAlister yard his British headquarters. By February 1912 they had delivered the 4 Engelhardt lifeboats that the Titanic carried which they built. This image on the right of Order Book no. 4 (ref TD1347/10/14) that contains the order for the four lifeboats. 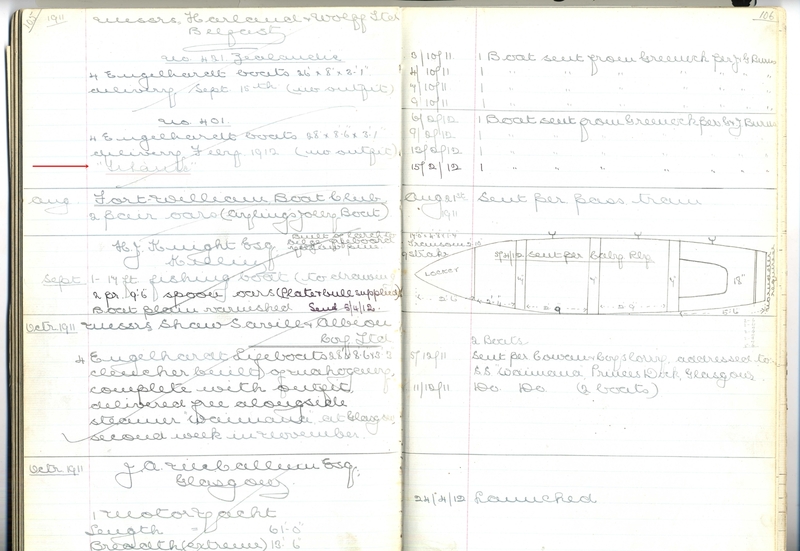 You can see some images of the boats at the end of the pages here (fig 5 and 6) which discuss the development of the Englehardt Collapsible Lifeboat. The page from the order book is shown below. It notes that the order is for Messrs Harland & Wolff Ltd Belfast for vessel no. 401 for four Englehardt boats measuring 28' x 8'6" x 3'1" to be delivered February 1912. 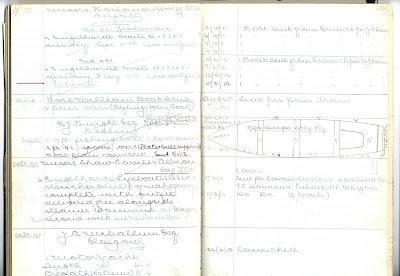 The opposite page then records the dates that the four boats were delivered from Greenock by G & J Burns Ltd. There is obviously a wealth of information online about the Titanic. One of the advantages of this is that we can see how the four collapsible lifeboats were used. This website records the names of each of the passengers the different lifeboats held and you can click through on their names to find some biographical information about them and details of their journey plans. For example, collapsible lifeboat C rescued Joseph Bruce Ismay, the President of the White Star Line. 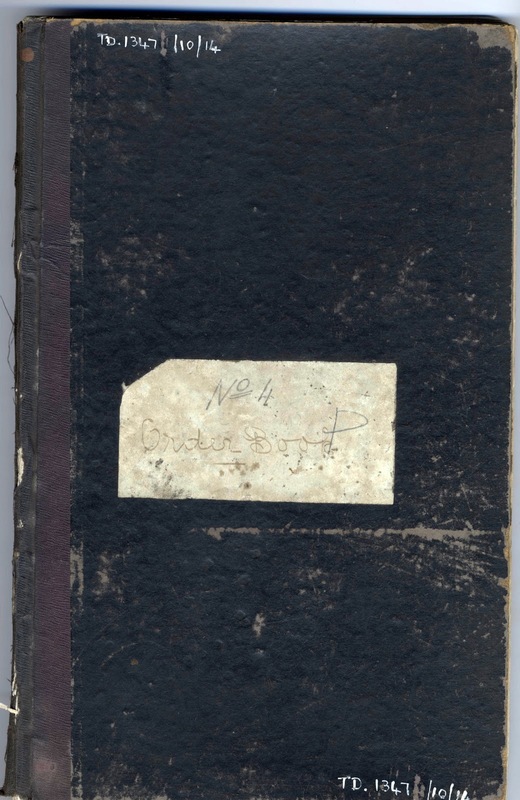 The McAlister collection is at present located at the Ballast Trust but once is it returned to Glasgow City Archives will be available for research and access. The is a larger version of the order image available on our Flickr page. Please contact us if you have any questions about the order book. The Ballast Trust is a charitable foundation established in 1988 that provides a rescue, sorting and cataloguing service for business archives with an emphasis on technical records such as shipbuilding, railway and engineering plans, drawings and photographs. The British Corporation - Records Now Online!